This version makes Canary more energy efficient & improves core stability. The good thing: the PGP encryption and decryption works indeed like a charm! The bad thing: the app is too buggy for everyday use. The starred messages do not correspond to the starred messages in the email account (unstarred messages appear, even after refresh). The email address is not always shown when you write to someone. You cannot edit text between the incoming text lines when replying. Search only searches locally on the device (and hangs beyond that). Choosing an addressee is painfully slow. When you get a notification for a new email, that email has most likely not yet downloaded. It usually takes several refreshes to get it on the phone, and often some more refreshes to also get the *content* of the email on the phone (even with good internet connection). Sometimes the app just crashes. Writing a draft on the phone, and then opening it on the email provider Web page fortunately no longer erases the email (as it was before), but the email is not in draft mode (need to copy paste it out into a new draft). In short, too much pain... That is unfortunate, because the idea is great! Hi, thanks for using Canary. You can reach support via the in-app Help button or via the Help button on our website. Please share relevant information to enable us to investigate the issue(s) you've mentioned. I’m very picky about email apps and Newton has spoiled me for the past three years. When they told us they’re closing shop, I went through more than a dozen third party email apps to find one that suits my preferences. I am a firm believer that premium features are worth paying for if done it’s done right. 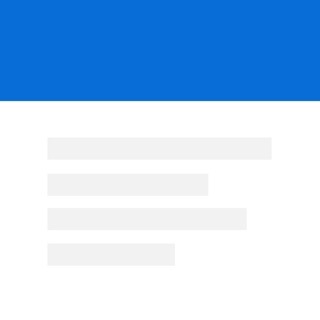 Canary, though relatively new, has a lot of key features all email apps should have: color coded email by account, email tracking, and EXCELLENT tech support just to name a few. Though not quite up to Newton standards, this app seems promising and I look forward to future features and releases. There are small nuisances like the inability to sort accounts after you create them, and the ability to pick notification sounds but these are trivial next to the functionality and the security provided by Canary. It’s also a bit slower to load emails than Newton. But for now, it seems I will stick by Canary and see what it becomes! I perform IT functions for Mac as part of my job, to provide some context. I purchased this software today because the interface for Apple’s Mail for iOS is not that great and I’m looking for alternatives. The software stalled out on an IMAP email account for my musical group’s website. Hmm, I know all of the required information and checked it closely to make sure the entry was correct - not impressive at all. OK, let’s try something dead simple - iCloud. Ouch, it stalled out on that too, referring to the need for two-factor identification but not actually initiating that process the way almost all software that requires this would. So now I have purchased this software but it will not install any email addresses at all and is therefore useless and a financial loss, albeit a small one. I’m sure that with enough time and tinkering I can force this software to set up these email accounts - but the claim is made for ‘effortless’ email and in that regard it is clearly a failure right out of the gate.